Slots rank as the most popular type of game across landbased and online casinos the world over, which is to be explained with their exceptional simplicity. There are no complex rules to master and follow, not to mention there is nothing players can do to affect the outcome of the spins. Whether one will collect a payout on the next spin depends solely on chance. This is precisely what renders slots a fitting alternative for both seasoned players and casino novices. More importantly, slots provide players with the opportunity to garner a hefty payout within seconds. Being the most popular type of game in any gambling establishment, slots come with diverse themes and features to meet the needs of all players. There is the option to bet on classic 3-reel slots or opt for the more advanced 5-reel titles, which boast mind-blowing graphics and authentic sounds. Of course, prior to committing to this type of game with real-money stakes, it is strongly recommended to become better acquainted with how slots actually work and what the basic rules of play are. You can start by reading the following article. As is the case with all casino games, the primal goal of slot players is to collect a payout. In order to do so, players are required to land up a combination of matching symbols across one of the paylines on the reels. How much the payout will be depends on the number of identical symbols that have lined up on the reels. The interface of the slots offered by reputable online casinos is rather simplified so new players are unlikely to experience any issues in understanding how the games work. There are separate buttons for adjusting the coin value, the bet level and the number of paylines to activate. These are typically positioned at the bottom of the base-game screen, directly below the reels. There is also the option to bet the maximum amount allowed per spin by clicking on the Max Bet button. Once players have gone through the aforementioned steps, they simply need to hit the Spin button to set the reels in motion and wait for the outcome of the spin. On that note, it is important to remember that all spins should be treated individually since the outcome is determined by special programs, called Random Number Generators. Thus, the outcome is always governed by a random principle and is never affected by what has happened on preceding spins. Players should carefully choose which slot title they should bet on and this decision needs to be based on several important factors such as the number of paylines available, whether these are fixed or not, what the average payout percentage is, and what coin denominations and extra features are available. Learning to make better informed decisions when adjusting your betting amount is one of the most crucial aspects of playing the slots. This is precisely what helps players generate more substantial profits and prevents them from depleting their bankrolls. Once you have selected your preferred slot title at your favorite online casino, you need to select the coin denomination you intend to use. Of course, the available coin values differ from one title to another but the most widespread options include 0.01, 0.02, 0.05, 0.10, 0.25, 0.50 and 1.00. Adjusting the coin value is simple and done with the buttons marked with ‘+’ and ‘-’ . The button usually reads ‘Choose Coin’ or ‘Coin Value’. Once you have selected your coin denomination, you proceed by adjusting your bet level. The latter stands for the number of coins you intend to wager per payline. If you are new to the game, it is preferable to opt for betting only one or two coins per spin until you get a proper feel of how the slot works. The number of coins players are allowed to bet also varies, depending on the slot they choose. There is no need to calculate how much each spin will cost you as the amount will be displayed in the grid below the reels. However, the overall cost of the spin is calculated by multiplying the coin value by the number of coins per spin and the number of active paylines. This is so, because players are practically betting coins on each payline they have activated. If you wish to bet the maximum amount available, you simply need to hit the Max Bet button – this will automatically adjust your bet to the maximum and will set the reels in motion at the same time. Most video slots you can play at online casinos have an Autoplay feature which enables players to automatically play through a predetermined number of rounds without having to constantly hit the Spin button. Typically, there is the option to deactivate Autoplay after you have won or lost a specific amount. Many experienced players are wary of the Autoplay feature because they might end up draining their entire bankrolls in a matter of minutes. This is another crucial aspect new players need to take into account prior to playing the slots for real money. The paylines are where matching symbols need to land in order for the spin to pay out. Classic slots typically have a limited number of paylines, which ranges between one and five, at best. However, the number of paylines on advanced video slots can sometimes exceed a hundred. The greater the number of paylines, the higher the chances of landing a winning combination somewhere. As was mentioned previously, the betting amount per spin is affected by the number of paylines as players need to make a bet on all active lines. On that note, it is worth mentioning some slots utilize adjustable paylines where players get to choose which lines to activate and bet on. It is important to remember that only the activated lines will pay – if you land a winning combination of matching symbols on a deactivated payline, you will fail to generate a profit. Of course, there are slot titles where the paylines are fixed, which means players will have no other option but to bet on all lines per every single spin. There is a common misconception among slot novices that the amount they win depends on the overall size of the bet they have placed on the spin. However, this is not the case. How much you collect in profits depends largely on the bet level, the coin denomination and the number of matching symbols you have landed on a payline. The payout is also affected by the matching symbols as well since not all symbols are created equal. Each online slot has high-paying symbols that can earn players more credits and low-paying symbols which are typically represented by high playing cards the likes of Tens, Queens, Kings, Jacks and Aces. To make things clearer, we will provide an example with NetEnt’s Disco Spin slot, which is played across 5 reels and features a total of 20 fixed paylines. Let us assume you have opted for the lowest coin denomination of 0.01 and bet two coins on all 20 paylines, in which case, each spin will cost you $0.40. Luck is on your side and you land three dancing girl symbols across one of the paylines. As the dancing girl is among the highest paying symbols in the game, you will earn 40 credits for three matching icons of this kind. The overall sum you collect would be $0.80 as you have bet two $0.01 coins on this spin on 20 lines. Understanding how the lines pay out is yet another important step you need to take before you make real-money bets on online slots. Also, it is possible to land winning combinations on several paylines and collect a greater payout. Taking a peek at your preferred slot’s paytable is an absolute must before you place your bets. This is so because the paytable contains valuable information in regard to the game’s winning combinations of matching symbols and how much these can earn you. In addition, you will find extensive information on the game’s special features and how they actually work. The paytables of the majority of the advanced video slots you can play online explain how the wild and scatter symbols work, as well as how to trigger bonus games and rounds of free spins. 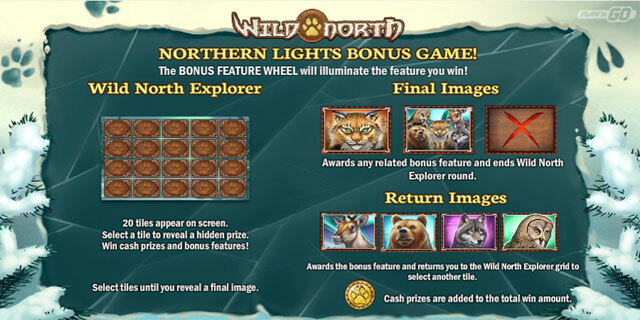 The wilds are among the most lucrative symbols players can hit because they can substitute for the majority of other icons and thus, help players complete a greater number of winning combinations. There are various types of wilds to look for when choosing a slot, including stacked, expanding, walking, and sticky wilds. Each of these functions in a specific manner, which is why you need to check the paytable in the first place. Another nice symbol players are likely to see listed in the paytables is the so-called scatter, which is even better than the wild, to be honest. The wild typically needs to land on an active payline to do its job, but this is not the case when it comes to the scatters. These symbols simply need to appear anywhere on the reels in order to pay. In most cases, the scatters unlock other features, such as a given number of free spins or even bonus games. Some scatters can potentially boost players’ profits as they have multipliers attached to them. Most video slots also have bonus games, so their paytables inform players how this feature is unlocked. In many cases, there are special bonus symbols which get the job done. Once the players have landed the necessary number of bonus symbols on the reels, they will exit the base-game screen and a mini game would start. More often than not, players are expected to choose from a given number of hidden items, each one containing a specific monetary prize. This is to say, once the bonus game is triggered, players are usually guaranteed to scoop up additional cash prizes. What is more, the paytable may serve as an indicator of the slot’s hit frequency. Typically, if the payouts of high-paying symbols are very substantial, the slot tends to lend winning combinations less frequently and offers a lower average player return percentage. To conclude, the paytable will provide all the information players need to select a slot that suits their individual preferences, style of play, and bankroll size.